First off, I’d like to dispel something I consider to be a widely-spread myth: Eudial is not actually afraid of snails, she simply dislikes them – like most of us do. To the best of my knowledge, there are no lines where Eudial actually says that she hates them in particular. 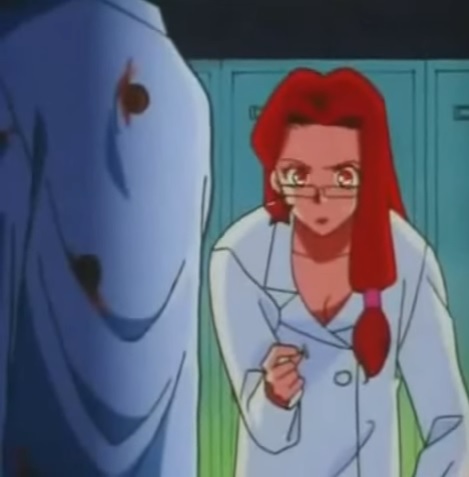 She’s upset when she finds that Mimete put snails in her locker, but that’s a pretty normal reaction when someone sees their clothes covered in slimy creatures.3 I think we can all agree that someone who was deathly afraid of snails wouldn’t do that. In fact, it’s a pretty common prank (or, in extreme cases, it crosses over into harassment) among Japanese students to put various bugs or insects into the lockers, bags, and shoes of their classmates. The much-loathed and not-so-friendly-looking cicada4 is often used in cases like this since their bodies can be found littering sidewalks and playgrounds in late summer, but it’s the same general idea. Read also: How Different Were the Four Kings of the Dark Kingdom in the Anime and Manga? With that out of the way, we can now get to our original question of why Mimete connected Eudial to snails in the first place. The answer may surprise you. Eudial’s connection with snails actually come from her car. The model is commonly known as a ワゴン車 (wagon-sha; wagon car)5 in Japanese, which is a shortened version of “station wagon.” It is incorrectly referred to as a van in some English translations, but that’s an entirely different class of vehicle (though the designs are becoming more similar nowadays). It’s probably a good time to mention now that the inspiration behind giving her this vehicle probably comes from the Ecto-1 of Ghostbusters fame.6 It wouldn’t be the first time that the animators have used real vehicles as inspiration, either! It probably goes without saying, but to the best of my knowledge, the Death Busters name comes from a play on the Ghostbusters. Eudial, with her giant gun (which could be in reference to the particle throwers / Neutrona Wands7 used by the Ghostbusters), seems to draw the most from this inspiration / parody. But that’s neither here nor there! Going back to the vehicle itself, station wagons are often known for their distinct image of having an elongated front and then a large back-end, not too dissimilar from a snail, though less pronounced. This also was apparently noticed in society at large, and not being one to miss out on a possible branding opportunity, Nissan produced a sinfully ugly interestingly designed station wagon known the S-Cargo8 in 1989 and sold it for two years. So what conclusion does this ultimately leave us with? 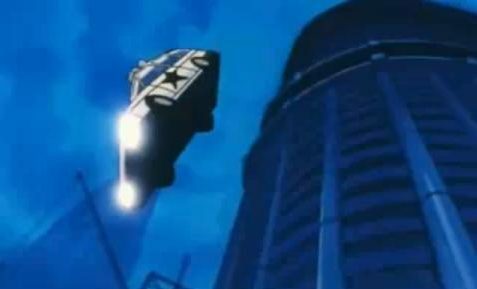 Well, while Eudial is certainly no fan of snails, odds are that the reason behind Mimete using them to harass her and refer to her as a “Snail Lady” in the first place is likely all tied to the type of car that she drives, which is itself inspired by the one used in the Ghostbusters franchise. 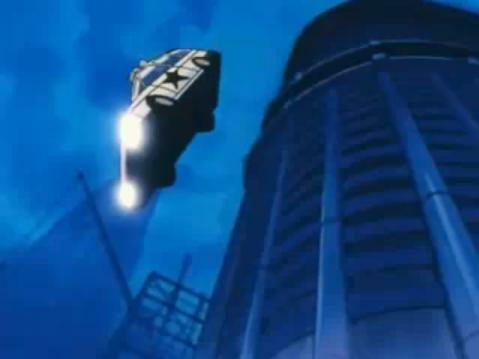 To summarize: Eudial is killed in a car full of snails because Rei Stantz was too cheap to buy a better vehicle. ← What Does Nephrite’s Cursed Symbol Mean? lol…you sure find the most obscure connections in things! XD You never fail to surprise me, haha good job! Then lo and behold, a month or so later I find incoming Google search traffic for this stuff. o_o Nice to know I’m not the only person wondering about this! To tell the truth, the Nissan is actually quite cute. Especially when you compare it to abominations like the Naked or the Cube. Inspiration from Ghostbusters? That’s a surprise. To be honest, back when I first saw (and heard) Eudial in the Cloverway dub, I thought she must be based on Janine from the “Real Ghost Busters”. Her red hair, the glasses, the voice, the car, the weapons all seemed to scream Ghost Busters to me. Of course they called them “Heart Snatchers” and “Bureau of Bad *gag* Behavior” in the dub. Even the English version of her name reminded me of Janine somehow, “Eugeal” or whatever. I’m glad to know I’m not the only one who made the connection. You stop it. You stop it right now. So Ami would obviously be Egon… Minako as Peter? Well, there’s only Usagi left. Though Janine is kinda like Luna and Usagi combined. Does that make Chibi Usa Slimer? I vote Luna P for Slimer.